Concrete Sealing by Window Genie of Grand Rapids uses equipment specifically designed to quickly and evenly seal various concrete surfaces. 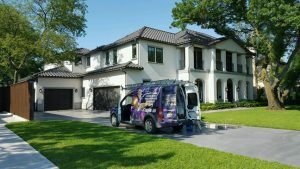 Even though they are fairly maintenance free, concrete driveways and concrete sidewalks still can become very dirty and discolored. They are also severely affected by salt and snow, acid rain, moisture and high temperatures. 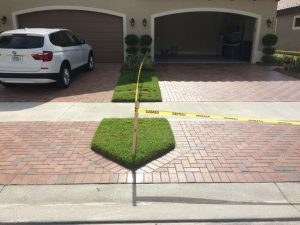 Professional concrete sealing service can make dramatic improvements to the appearance of your concrete driveway and concrete sidewalk. With our unique, lifetime concrete sealers which penetrate your existing concrete, you can protect it from the damaging elements and form a barrier that keeps even oil from penetrating. Window Genie’s concrete cleaning service and concrete sealing is the answer to your dirty concrete needs.